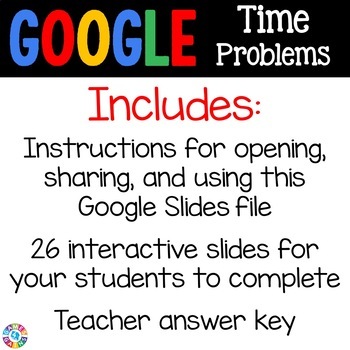 Engage your students with this interactive DIGITAL resource that works with Google Slides™. No more copies to be made, no more printer ink, and no more lost papers! 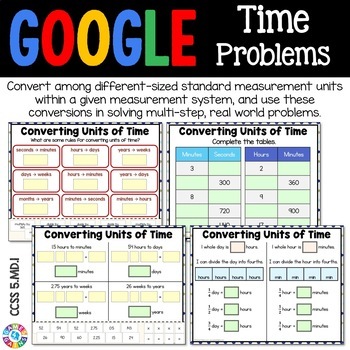 With this 26-slide digital resource, your students will practice converting units of time (s, min, hr, d, wk, mo, yr) and solving elapsed time problems. Students will love interacting with the movable pieces and typing their responses on these slides! Note: This resource includes decimals and fractions. 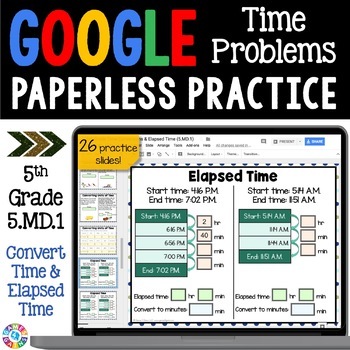 If you have a Google classroom, this activity is sure to make practicing these key skills way more fun than if they were done with paper and pencil. IMPORTANT: This is a digital resource, so please only purchase this resource if you have the capabilities in your classroom to use it (computers, laptops, or tablets, Internet access, and a Google account). If you have any issues with this resource, please feel free to email me directly at brittney@games4gains.com. I'll be happy to try to help you! 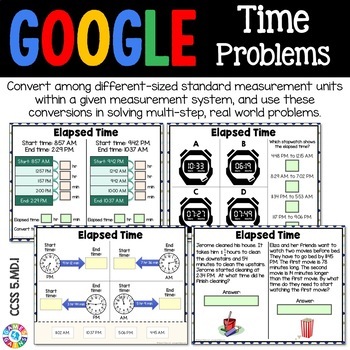 Looking for more digital resources that cover 5th grade measurement skills? Want to see all of the digital resources that we have available? Check out our 2nd Grade Digital Resources, 3rd Grade Digital Resources, 4th Grade Digital Resources, and 5th Grade Digital Resources!